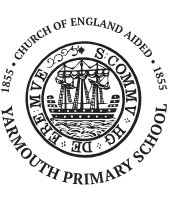 Welcome to the Yarmouth CE Primary School pages of our Federation website. Yarmouth is a small harbour town in the west of the Island, and the school is an important part of the local community. We often link with the community to enhance learning opportunities for our pupils. We strongly believe that children learn through real life experiences and actively plan these into our curriculum. Our pupils learn in small classes across the year groups and are taught by committed and experienced teachers, who have high expectations for every child.